One of the numerous gifts of Baja travel is an experience of the vastness of the night sky. Far from the metropolis light-killing kilowatts, the dark blanket of night spreads from horizon to horizon, all a twitter and a twinkle. In the darkness, the other sky – the star-filled night – transforms the heavens into a shimmering display of other-worldliness. It’s been a long while since I spent much time stargazing. A lifetime of camping has been replaced with lodging in friends casitas and my own Loreto house. This last week, when staying at my friend Cynthia’s, “Casa Baja Luna” on the Pacific Coast, a rage of sleeplessness found me wandering her back yard, my head cranked upwards, hypnotized by the reach of the Milky Way. I gazed as if I’d never seen it before, struck by the beauty, the immensity. It felt as if I could reach my hand upward and pull back handfuls of stardust. I was struck by the memories of lying in that same backyard on an old piece of sail, staring up at the sky, laughing at the wild world of it all …. Tonight, the moon caught the trails of a bright star – ah, no – a bright planet (bigger and brighter to the visible eye than most stars), and I couldn’t help but stop, grab the binoculars and see which planet had carved the shimmering trail across the glassy seas. There was the planet, squarely in the lens of the binoculars, bright enough to convince me to find the spotting scope, pull up some ground and sharpen my gaze. Magic. Tripod and search. Find and focus. Ahhhhhhhh … Jupiter and her four moons. Jupiter of pale pink striations across her surface. Jupiter clearly in my glass. Her four planets were lined in perfect order : Io, Europa, Ganymede, and Calisto. Like greeting old friends : How had I stayed away so long? For months I had chased the night sky cross Baja, learning – or attempting to learn- the ‘other map’ – the sky map. The map as well defined as that of our planet for navigational purposes – I just don’t have quite the vehicle of say, “Startrek,” or “Starwars” to venture in real body exploration. My earthbound self has to be satisfied with the images caught by traveling satellites, the high-powered telescopes, and the stunning finds of orbiting Hubble. Entranced again, I turned the spotting scope skyward and there, behind the blackness of the unassisted eye was that other world again. The world where star after star fills the void, and there are more pinpoints of light than I could ever count. “Campfires” the Indians used to call them, as if the Gods had lit lights for them to name and to follow. That other map is still used by sailors who shun navigation by computer or GPS – and should be known by every sailor – “in case of” – the dreaded technological failure 🙂 When I traveled in both South America and South Africa, one of my vivid memories is of the southern cross – a constellation seen only on the other side of the equator. What I found tonight was a re-romancing with the night sky. A re-desiring to know/be able to name/to chart those heavens that come round every night after the sun leaves her brilliance with the rotation of the globe. I turned from the stars, and there, caught in the corner of a palm, was the crescent moon. She glowed yellow in the dark sky, but on closer examination, her brilliant white surface, pockmarked from years of encounter with the flotsam and jetsam of the universe, gleamed in the eyepiece of my lens. A magic night. A star-laden night. A remembrance of how infinitesimally small we truthfully are in terms of the universe. 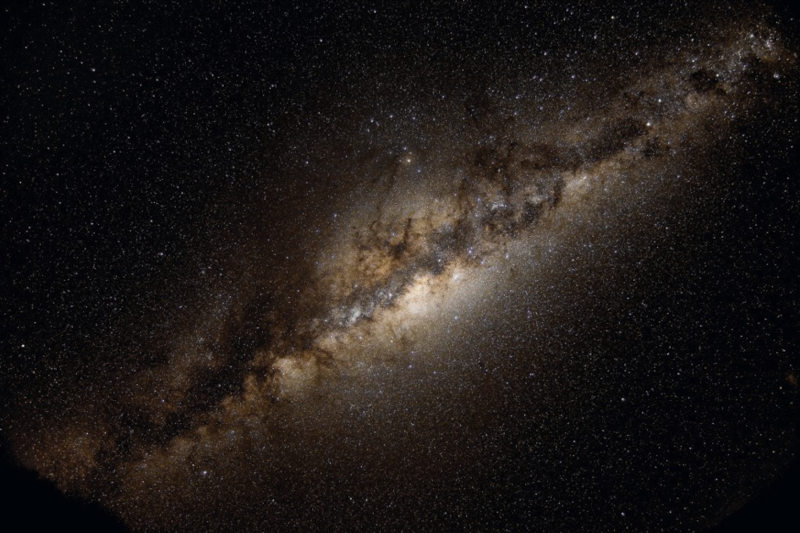 This entry was posted in Casa de Catalina, Loreto, San Juanico and tagged Casa Baja Luna, Jupiter, Star Gazging, The Milky Way, the Moon, The Night Sky. Bookmark the permalink. Love this posting, will keep an eye out on your blog now!